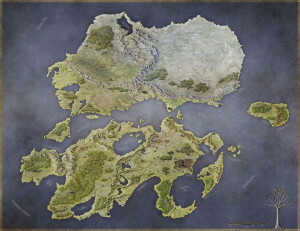 Hopefully you have already started making your map for the competition. I’m looking forward to some great map submission and, of course, finding out who is going to win the ProFantasy prize vouchers. And, to determine those winners, we have a stellar lineup of judges to evaluate your efforts. So, without further adieu (and in no particular order), let’s meet the judges! Vaasa, by Mike Schley. (c) Wizards of the Coast, Inc.
Mike Schley is an illustrator and cartographer currently working in the game and book publishing industries. Through his artwork, a love of communication and exploration of place are revealed. Trained as a traditional painter and embracing the digital environment, his cartography seeks to balance richly detailed imagery with coherent design. Apart from maps, Mike also has a fascination with visual storytelling. Combining the use of digital and traditional media, his work conveys a painterly approach while benefiting from the efficiency of a digital working environment. With a decade of professional experience he has produced a large body of work for a variety of clients ranging from manufacturing firms to public universities. Presently his focus is on providing illustration, concept art, and cartography services to the entertainment and publishing industries. While aggressively pursuing his career in the commercial arts, his time is also spent studying the capabilities of storytelling and narrative. Having worked in an assortment of artistic fields over the years, he hopes to continue to bring a sense of wonder to his imagery while pushing his creative and conceptual boundaries into new realms of the imagination. See more of Mike’s art at www.mikeschley.com. Jon Roberts has been illustrating imaginary worlds for most of his life, but only found out people would pay him to do this a couple of years ago. Since then he has illustrated the feywild, the depths of the sea and lava filled caverns for Open Design and Kobold Quarterly, crystal filled temple mounds and velociraptor lairs for Rite Publishing and the dark future of Judge Dredd for Mongoose Publishing. When he’s not drawing imaginary worlds, he’s thinking about them in his day job as a theoretical physicist. 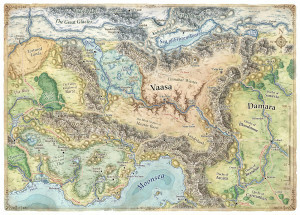 You can see more of Jon’s work at his Fantastic Maps website or visit his blog. My name is Ralf Schemmann. I’m a historian by training, but have been working since 2001 as a freelance web designer and graphic artist. 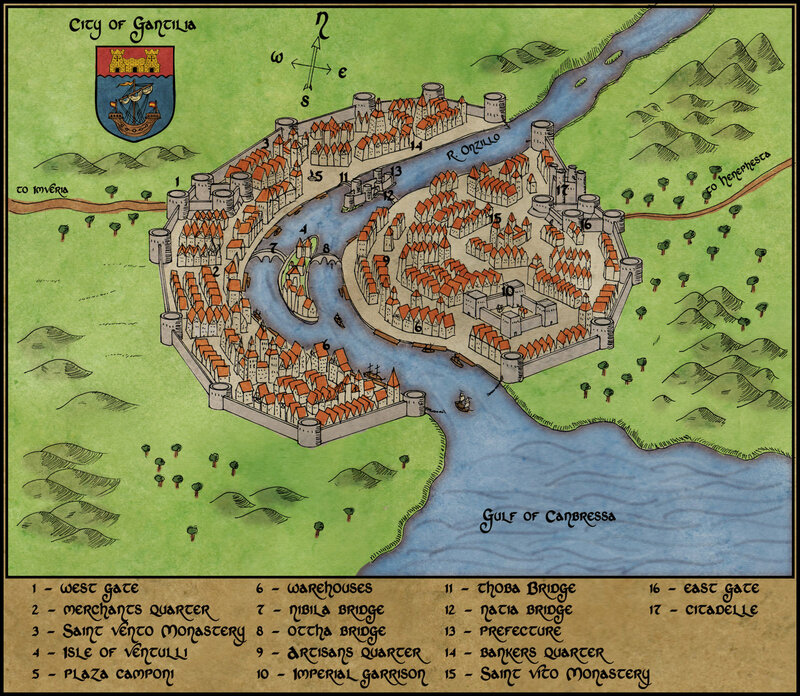 Most of my work is done for ProFantasy Software Ltd, specifically creating the monthly Cartographer’s Annual subscription, but also taking care of my other aspects of Campaign Cartographer 3, including representing ProFantasy at conventions like GenCon Indy and Spiel in Essen. 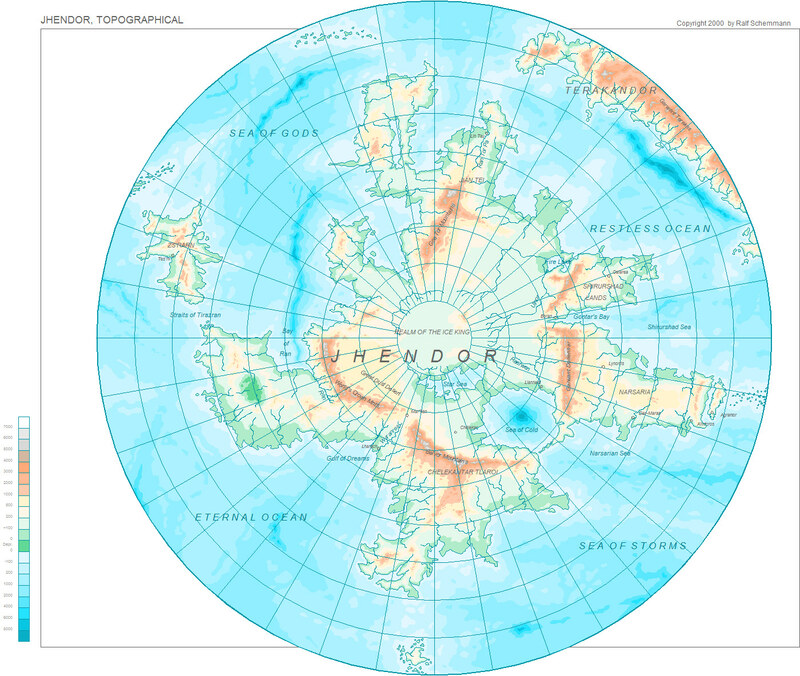 I also do cartography or web design work for individuals and other companies. My website can be found here: www.mapsandmore.com (the info on there is pretty out-of-date and is currently being reworked). 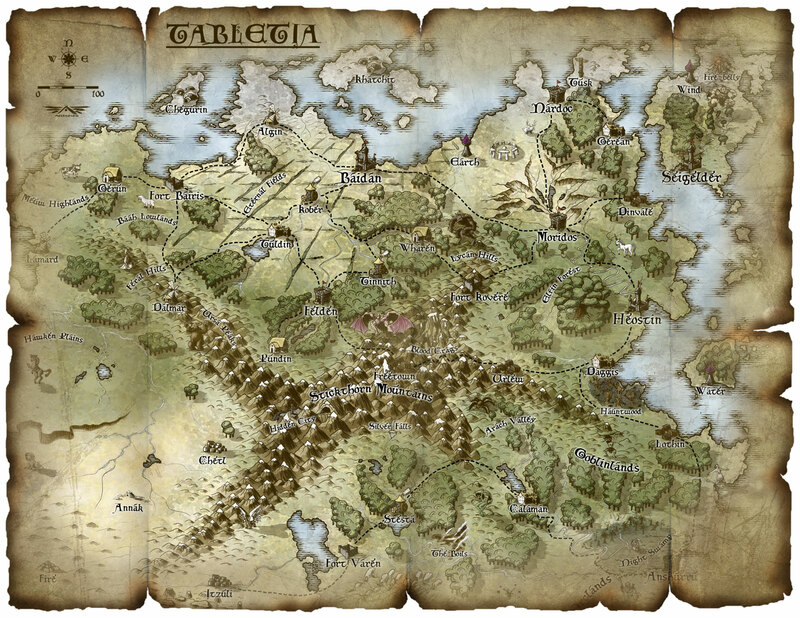 Michael “Gamerprinter” Tumey is a 47 year old graphic designer and professional fantasy cartographer from Ottawa, Illinois. Using mixed media from hand-drawn elements to use of 3D and vector graphics, Michael relies on Xara Xtreme Pro as his application of choice to create his own unique styles. 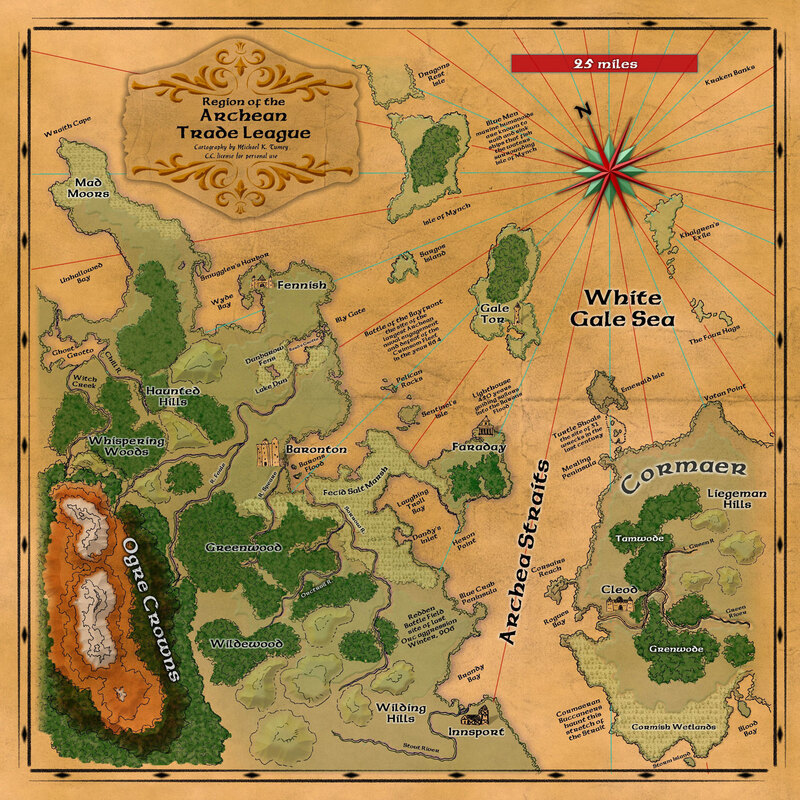 He has created many commissioned works for RPG publishers large and small, including his own publications which is his latest endeavors in the roleplaying game industry. Being half Japanese (mother) and Irish-Scottish (father), he believes he has the juxtaposition of cultural backgrounds that makes for interesting perspectives and relies on such heritage to inspire his work. Michael is primarily a self taught artist, something he has done his entire life. Having played roleplaying games since 1977, Michael is an old hat to dungeon mastering and creating maps for his own home brews. 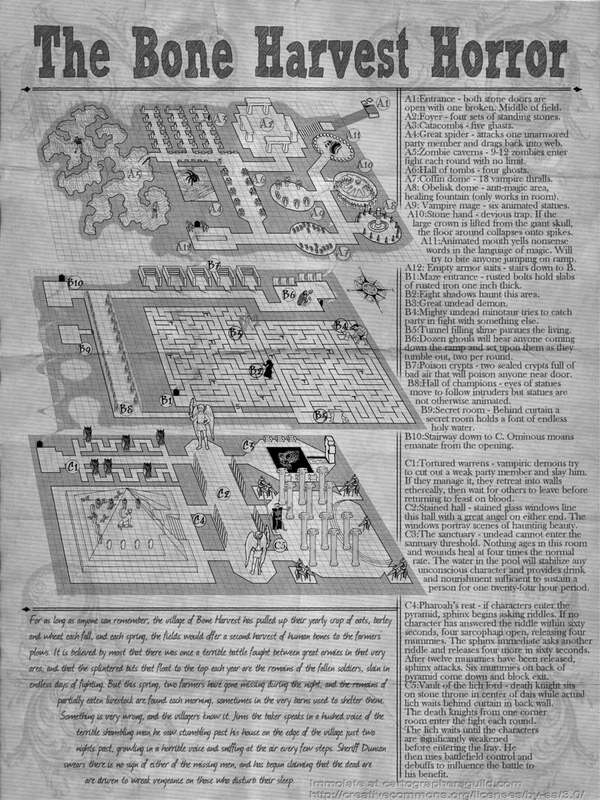 It was only in 2007 that he started Gamer Printshop, a POD shop specializing in the large format color printing of RPG maps for gamers and publishers. 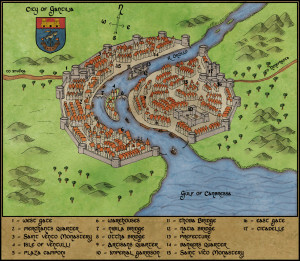 Within a year he began to create commissioned gaming maps for many publishers and is currently in high demand. In October 2009, he published his first Pathfinder RPG adventure for a setting he is developing called Kaidan: a Japanese Ghost Story setting – a cross between feudal Japan and Asian horror. Look for Kaidan and other publications he is involved in the coming months. You can view Michael’s portfolio at http://www.gamer-printshop.com/portfolio/portfolio.html. Robert originates from the small country of Austria. He is a life long addict to science fiction, fantasy and alternate history, and became a cartographer not too long ago, when a stroke of genius hit him and he decided to buy a graphic tablet. Although he had drawn and painted as child, this talent was nearly forgotten over college and university, when he had to learn for his law study and had no time for drawing. Luckily, he rediscovered his skills and started to make maps over a year and a half ago. Since then he made numerous maps for RPG groups, novels, browser games and professional publishers in the United States and Europe. To see more from his work go to www.sapiento.deviantart.com and Fantasy-Map.net. I have been an avid player of fantasy role-playing games since 1979. I currently play Pathfinder with seven friends. 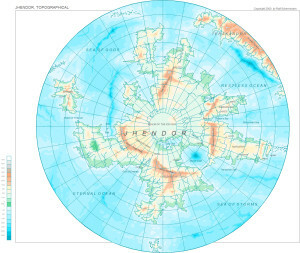 I have been actively mapping since May of 2009 when I discovered cartographersguild.com. 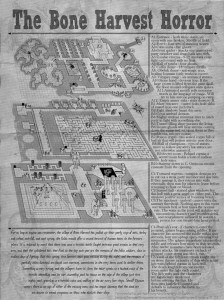 In that time I have entered many challenges and won a few, including “Best Cartography” in the 2010 One-Page-Dungeon-Contest [Editor’s Note: The winning map – “The Bone Harvest Horror” – is pictured here]. Herwin Wielink was born in 1971 in Meppel, The Netherlands, and grew up with computers, fantasy books and a pencil. After finishing his Masters in Information Technology and working as a freelance consultant for over 10 years, he decided to pick up the pen again. 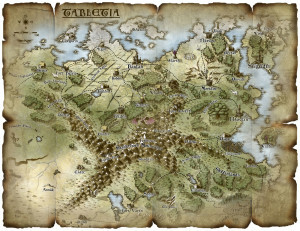 Still fascinated by computer game art and fantasy themes he now draws maps and illustrations for games and books. You can check out his work at djekspek.deviantart.com. Peacock, Stained Glass by Chris Gonzalez. I’ve been an artist since I was 5, athlete since I was 7, action sports competitor since before they were called action sports, Masters degree in Psychology, stained glass artist for 13 years, map-maker for about 5 years but only seriously for 2 1/2 years. 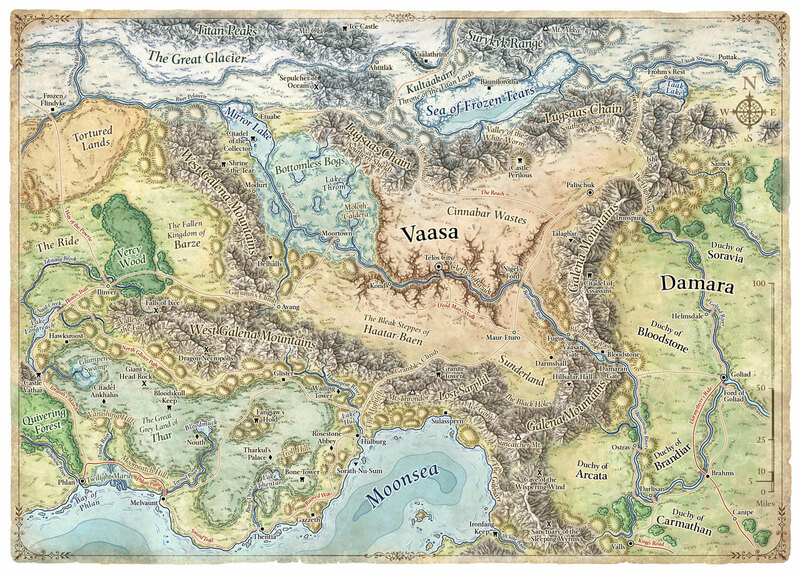 See more of Chris’ maps and stained glass projects at Cartographers’ Guild. Copyright Notice: Please note – all maps found in this post are copyrighted according to the terms of the individual artists. If you would like to use these images for any purpose, please contact the map creator directly.